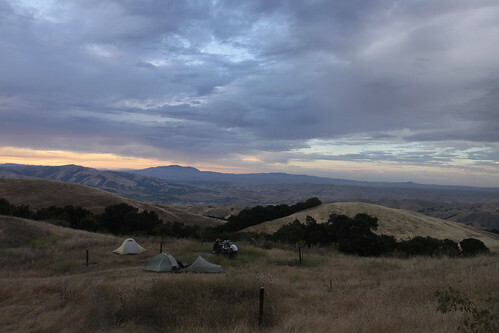 The other times that I’ve climbed Mission Peak with the Boy Scouts, we’ve started from Ohlone College. That is a 3.5 mile, steep, shadeless, climb on dusty roads through cow pastures. This time, I took the advice of a nice person at the East Bay Regional Park District and we started from Sunol. Still mostly on roads, but lots more shade, the climb is spread out very evenly over 5.5 miles, and the views are of Mt. Diablo instead of cows. We had at least an hour and a half of sunset color. 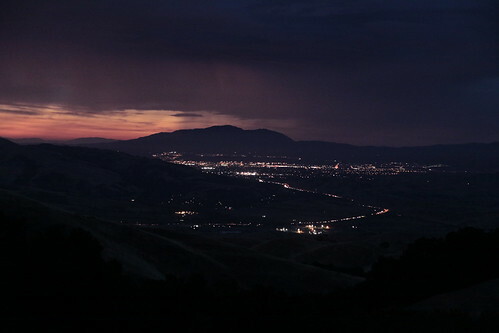 I have a flickr set with a lot more photos from the Mission Peak trip, if you are interested.